Vallarta is a popular destination in Mexico and is located on what is known as the Mexican Riviera. The combination of a tropical climate, stunning beaches, a rich history, and friendly people make Vallarta a must see, and many return time and again to enjoy its many wonders. Also known as Puerto Vallarta, or PV, you will soon discover why so many vacationers have made this their favorite place to visit. 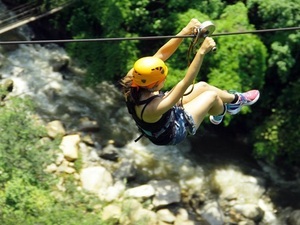 We offer great excursion options such as our Puerto Vallarta Zipline and ATV Combo Excursion and our Puerto Vallarta Eco Zipline, River Tubing and Rappeling Excursion. Round trip transportation from near your Puerto Vallarta Cruise Ship Terminal! All equipment needed: helmets, gloves, harness, etc! Purified water during the zip line! Full use of facilities (bar, restaurant, restrooms)! 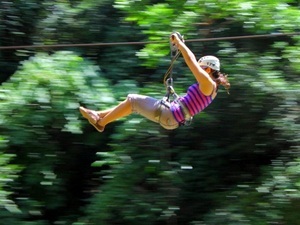 Enjoy an adventure surrounded by the rainforest with 11 zip lines and fun mule ride. Learn about tequila and taste some spirits. Come to make memories that last a lifetime! Professional, English speaking shore excursion guides! Automatic or semiautomatic RZR Buggy! Pricing is per buggy for up to 4 passengers! Safety equipment: helmet, bandana and goggles! Drive through the Jorullo Bridge, the largest suspension bridge in the world! 1 Snack included (guacamole or nachos)! 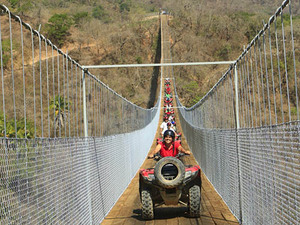 Ride over the largest suspension bridge in the world with your own RZR Buggy! Swim in a beautiful waterfall and end your day with a tequila tour and snacks! Price per buggy. Round trip transportation from near your Vallarta Cruise Ship Terminal! All equipment needed including helmets, gloves, harness, tubes, etc! Complimentary purified water during the route! 7 lines, 2 hanging bridges, 1 Tarzan swing and much more! 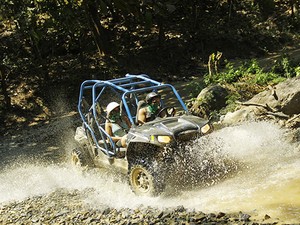 Spend your day enjoying this great adventure in the Sierra Madre Mountains! Zip lining through the tree canopies, rappel down the mountain, river tubing down the river and finish the adventure with a fun mule ride. A scenic adventure that all will love! Safety equipment: helmet, bandana, and goggles! See the wild side of Puerto Vallarta. 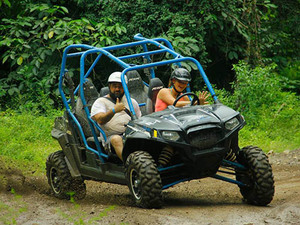 You will be driving your RZR buggy through the Sierra Madre mountains and see amazing landscapes. An adventure you don't want to miss! Automatic or semiautomatic Yamaha or Honda ATV! Zip line with 11 lines and mule ride! 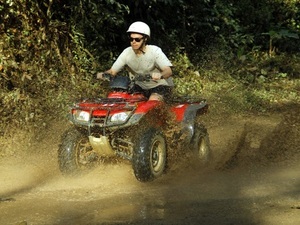 Ride through rainforest trails on an ATV with the stunning Sierra Madre Mountains as a backdrop! Then zip over the treetops and finish the day with a mule ride! Automatic or semiautomatic Honda or Yamaha ATV! Ride your ATV through the mountains of Puerto Vallarta to the waterfall of "El Salto" continue riding until to the impressive Jorullo Suspension Bridge. Then relax while you take a tequila tour and enjoy some snacks! Automatic or semiautomatic Honda or Yamaha ATV and helmet! 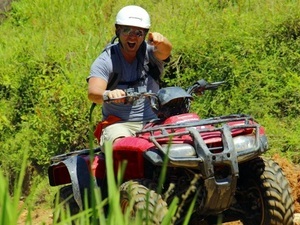 If you have a need for speed then join us on an ATV all-terrain adventure that will take you through the lush rainforest on this fun-filled Puerto Vallarta Excursion. English speaking certified captain, crew and guides! Amazing snorkeling in Banderas Bay! Complimentary gourmet lunch and appetizers! Premium open bar including beer, wine, cocktails and others! The ultimate in luxury and VIP service. 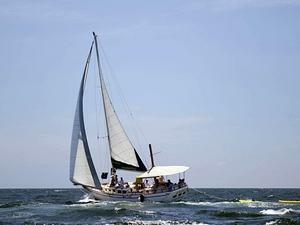 Enjoy a great day sail on Banderas Bay with gourmet food, premium open bar & more.